The #1 rated kona kayak service, is also one of the only licensed tour guides for Kealakekua Bay and Captain Cook Monument tours. A unique Big Island Tour that is not only exciting, but educational. 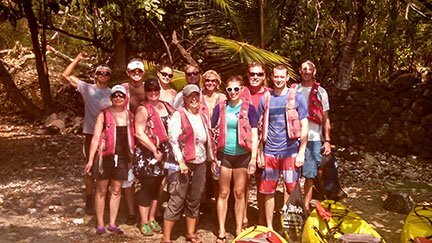 Our Tours provide kayak & snorkel instruction, knowledge of natural history, gear, guide, drinks & snacks. 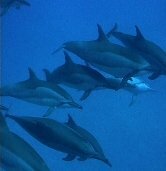 We serve the whole Kona Coast specializing in Manta Ray Snorkel Tours, Kealakekua Bay Snorkeling and Keauhou Sea Caves. We have recently expanded, and now not only do day and night tours, but camping trips all along the Kona Coast. We have permits for all our tours, so if you are taking a tour a permit is not needed. Now Serving From One Very Convenient Location: Please Call For Directions! Our only location for 2019 is located at 82-5674 Kahau Place, Captain Cook, Hi 96704, 1 mile from breathtaking Kealakekua Bay. We started business at this location in 1998 and is primarily for checking in our guided tours and servicing our Kealakekua patrons from a central location. We are excited to say this location is the closest kayak shop in Kona to Kealakekua Bay, and also has a historical gallery and shaved ice stand. It is the perfect place to regroup after snorkeling and kayaking in South Kona. Big Island born and a true Kona Boy, Owner Iwa K. T. Kalua has spent his entire life living and learning the local ways here in Hawaii. A proud Hawaiian entrepreneur, certified lifeguard and Big Island Kayak enthusiast. With thousands of hours of guiding experience. Join Iwa ,His Family and his well trained guides as they share the vast history,culture and deep hidden beauty that can only be visualized with the narration of our certified and knowledgeable staff. Snorkel in cobalt blue & emerald green waters with 100' visibility! Amazing varieties of tropical fish, beautiful coral & giant sea turtles! Its Like swimming in the "Biggest aquarium in the world!" We also look for manta rays, spinner dolphins & humpback whales depending on the season. With respect for the Aina first and its users second. With education as our tool we can and will accomplish our goals: Protect the areas that we explore while providing vital information for safety to the visitors and residents of the Big Island. Side note /Tip : There are a number of illegal kayak bootleggers that sit at numerous places through out the island. Primarily Kealakekua bay. These individuals are shady, they give alias names and operate under a cash only basis. If something goes wrong there is no one to blame but your self. As a visitor you do not want to be swindled in to renting a kayak or any water craft from "Some Guy". Do it the right way find a legal business with a store front. We have seen people who rent from illegals with no education,sink literally. We have seen fire rescue helicopters save peoples lives who rent from these individuals. But if you want to put your lives in the hands of some unemployed waiter or landscaper who is just renting kayaks to make a quick buck ! Go for it, It's your life ! Be smart choose a legal rule following, safety oriented , lifesaving trained company - ALOHA KAYAK CO. We care about you and your safety !! The Best Kona Kayak Snorkel Tour, one of the only guided tours for Kealakekua Bay and Captain Cook Monument tours with permits to land. Big Island Tour that is not only exciting, but educational. 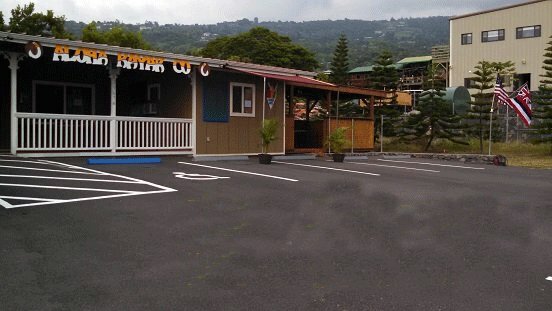 Aloha Kayak Co.s new location down Napoopoo Rd, in Kealakekua Bay will be the closest rental facility to Kealakekua bay with cold drinks and shaved ice . 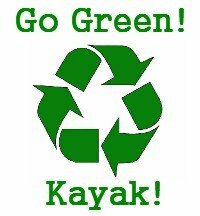 Kayak Rentals For Kona-Kealakekua Hawaii: New Location Closest tot the Ocean! We now have our second location to provide you the closest kayak shop to the water in South Kona-Kealakekua Hawaii. Kahauloa Bay is the closest and easiest allowed point of access for kayak renters to get in the water to go to Kealakekua Bay. Napoopoo Wharf is only open to licensed guided tours to launch. Follow the latest news from Honalo on the Big Island of Hawaii, with the Aloha Kayak Blog. Updates, Kealakekua Bay news, interactive pages, and learn about special deals. Aloha Kayak is the #1 ranked Kailua Kona kayak company, and we are dedicated to continuing to be the best, please make use of one of our Big Island Kayak coupons, and tell a friend! Kealakekua Bay Permit: Options to consider when kayaking Kealakekua Bay. Aloha Kayak now has Stand up Paddle Board/ SUP Lessons and Tours operating out of Keauhou , Kona daily. Located in Honalo on the Kona Coast of the Big Island of Hawaii, Aloha Kayak Co. started in 1997. This page has the info on this #1 Ranked Hawaiian owned tour and rental company. We have a strict 48 hour cancellation policy on all tours. 7 day notice is required on large group and custom tour bookings, and a 15% gratuity charge will be added.